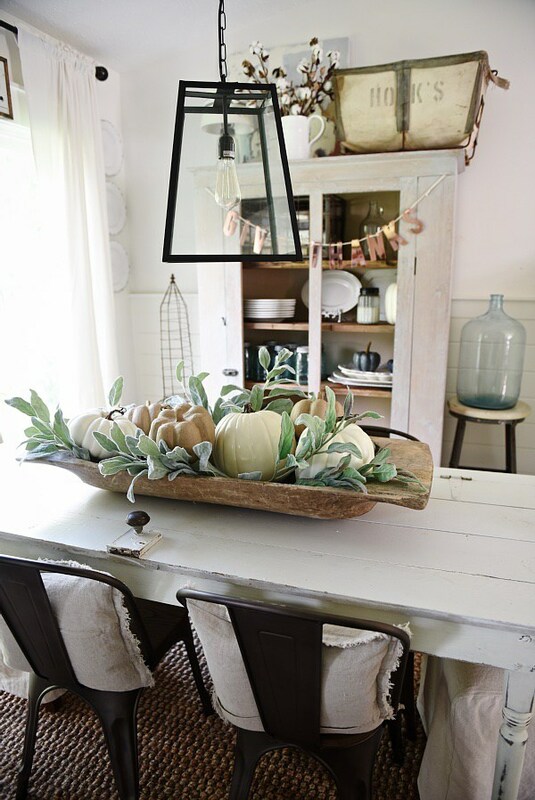 One of the most fabulous Farmhouse Home Decor Accessories is a beautiful Dough Bowl! They are magnificent and add such warmth to a room. So many of them are unique…one of a kinds with such personality. 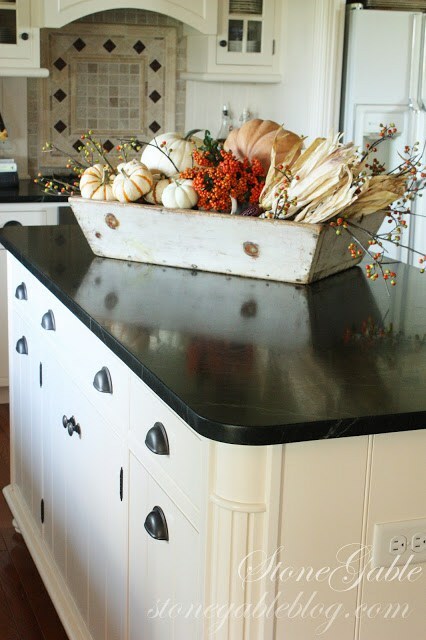 A Dough Bowl can look incredible just plain or filled with all kinds of beauty. So today we have a Collection of Fabulous Farmhouse Dough Bowl Inspiration. You will see such amazing creations and each and every one of them will give you the inspiration you have been waiting for to design your very own. From every day Dough Bowls to Holiday Dough Bowls…I think we have you covered! 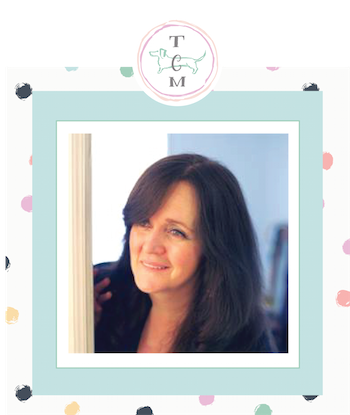 I highly recommend visiting the wonderful blogs…there is so much more to see. So grab that cup of your favorite brew and I am feeling a warm Chocolate Chip Cookie…sit down…relax and Enjoy! Yvonne from StoneGable is so very gifted and she is a Master at Vignettes and Dough Bowl Creations. She has a tons of tips to share with you and a Step By Step to show you how she put together this Falltastic Fall Dough Bowl Arrangement. You will learn everything you need to know after checking out the visual tutorial. 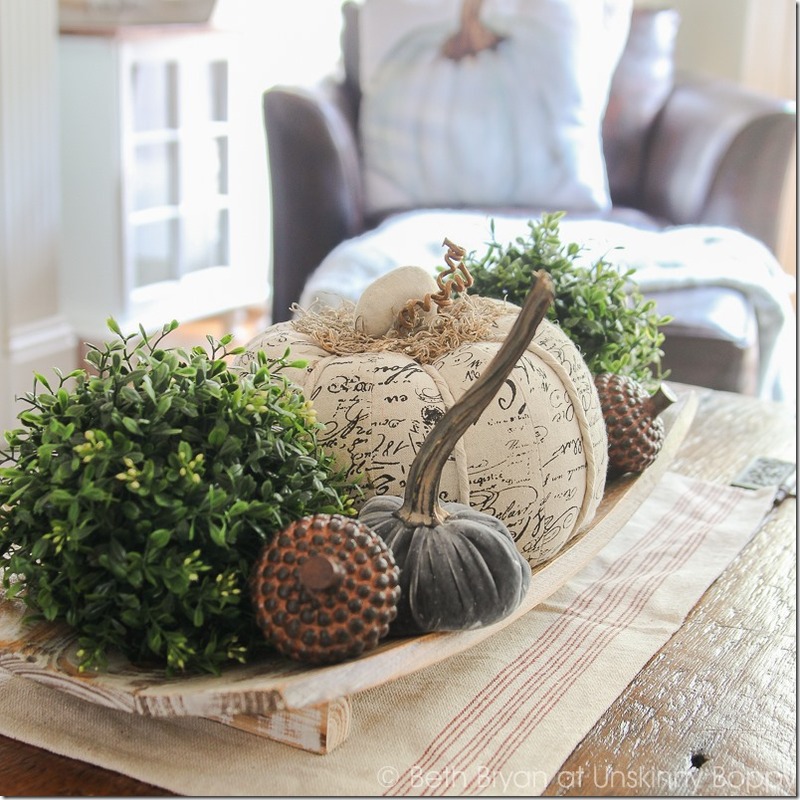 Miss Mustard Seed works her creative magic with gorgeous Heirloom Pumpkins…Pine Cones and a perfect addition of Greenery. 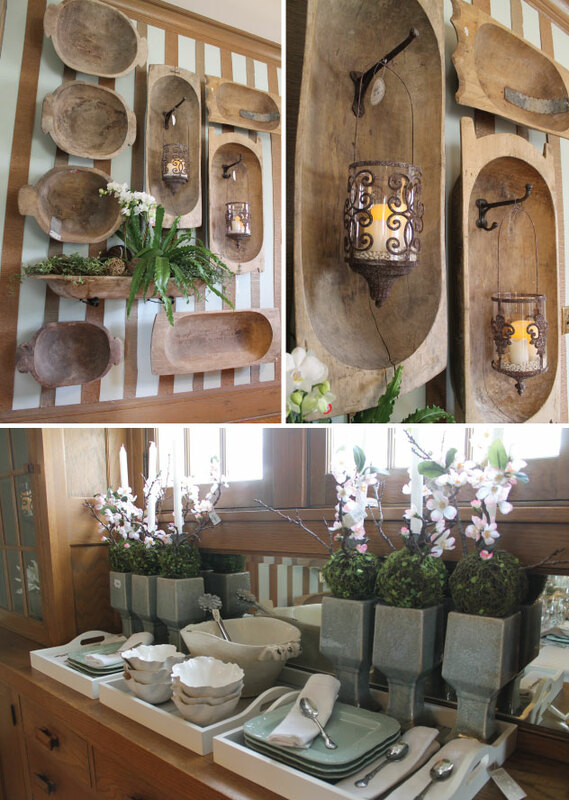 It is stunning and oh so Inspirational…drop by to see more! Suzy over at Worthing Court is going to show us how to put together a large Dough Bowl in her own fabulous style! The best part is is that she shares a complete picture tutorial…step-by-step on how to put this beauty together. It will inspire you to add your own favorite flowers…colors and more…a must see. 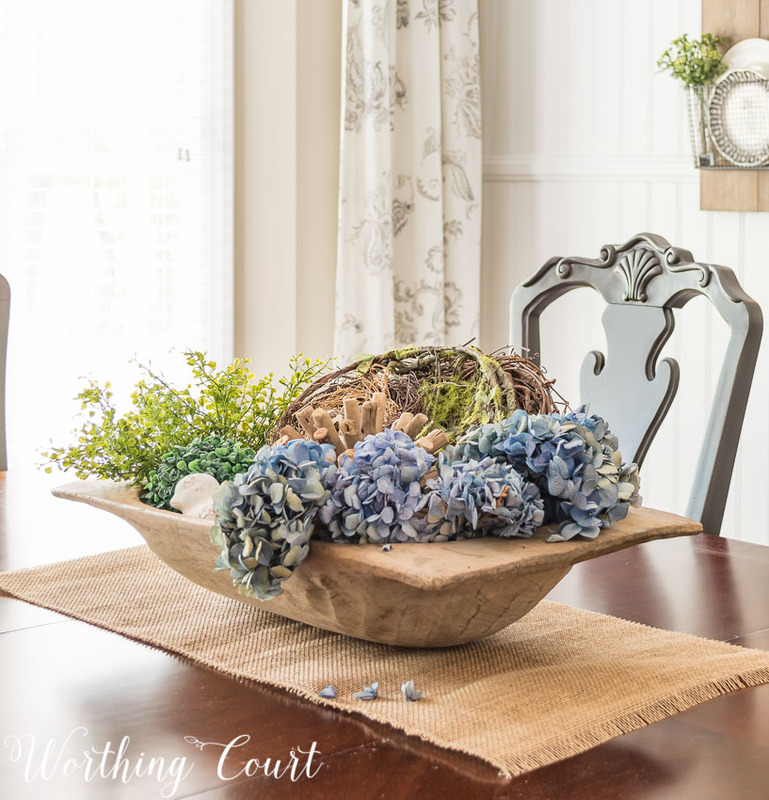 You will find this Stunner over at Worthing Court…Suzy always has such creative ideas up her sleeve for every Holiday and Occasion…come and see how this Winter Dough Bowl Centerpiece was put together. Not only is this Dough Bowl amazing…Liz Marie makes it even more spectacular just by adding the perfect amount of greenery! 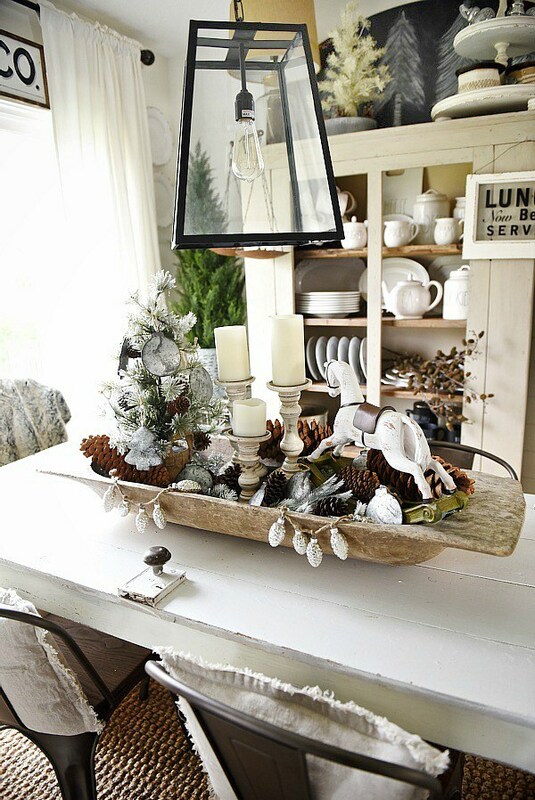 This is a Farmhouse Centerpiece that can bring you through all 4 Seasons and look fabulous the whole time. This should inspire you and your imagination to create some sensational. Let’s visit Yvonne from StoneGable once more and marvel at her gorgeous Fall Dough Bowl/Tool Candy. Filled with beauty and inspiration. 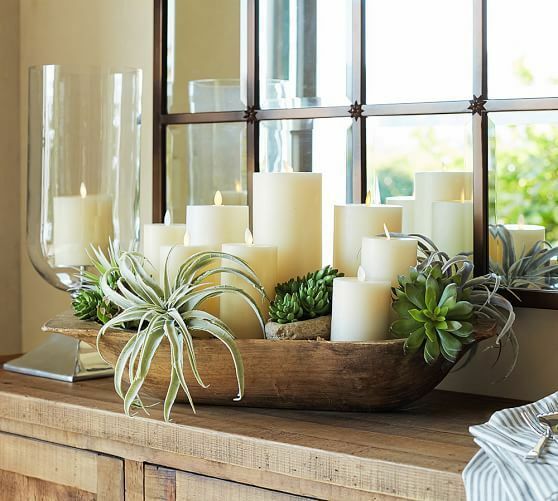 Pottery Barn can sure put together a gorgeous Dough Bowl…Succulents and different height Candles…simple yet stunning. 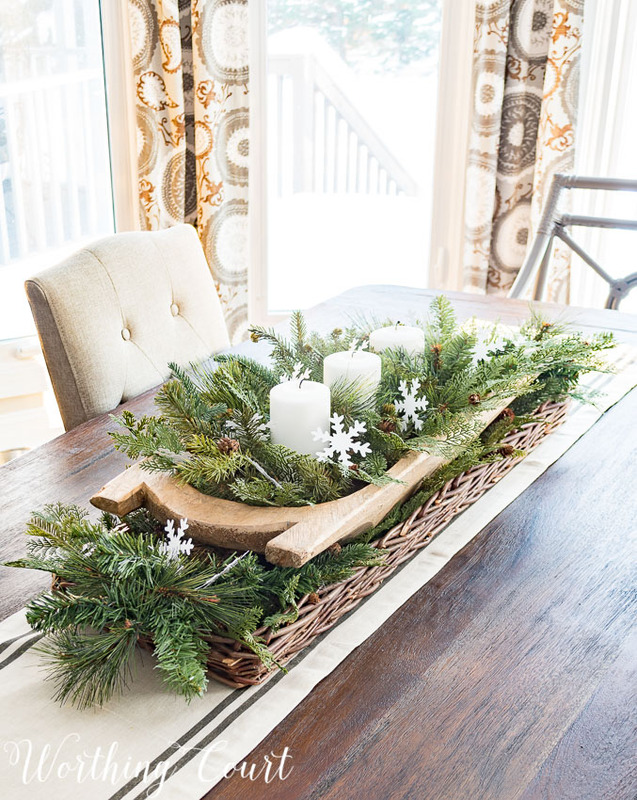 Works as Centerpiece any time of year. Can you imagine how it looks lit! I am sure the combination of plants and candles will give you tons of ideas. 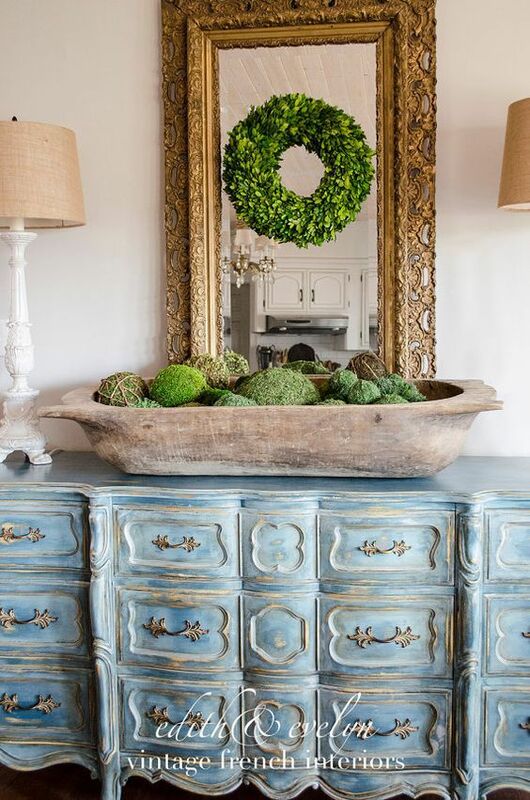 How about a Dough Bowl with a French Farmhouse Touch like this one over at Edith and Evelyn Vintage. It is filled with all kinds and sizes of Moss Balls. It could not be easier to do and it could not look more elegant. LOVE it! Sometimes simple is best. 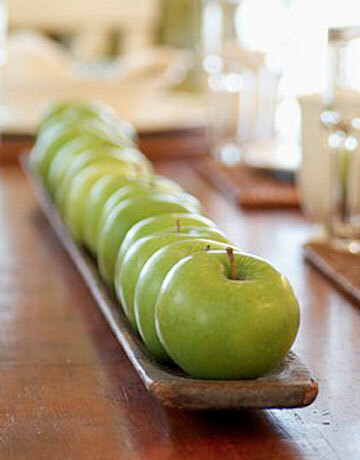 A flat dough bowl with Green Apples in a Row…you can do this with Red Apples or any round fruits…lemons…candles…plants…the list goes on…with this formula it will always look picture perfect. 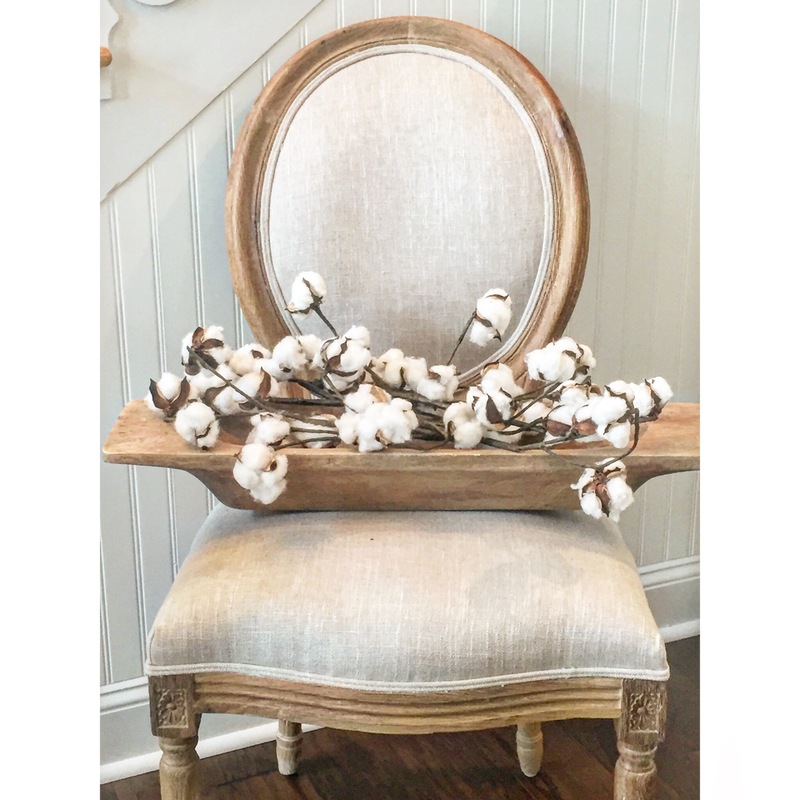 How fabulously Farmhouse is this beautiful Dough Bowl…the perfect touch of Cotton Stems just makes this bowl sing. No Original Source…here is the PIN. 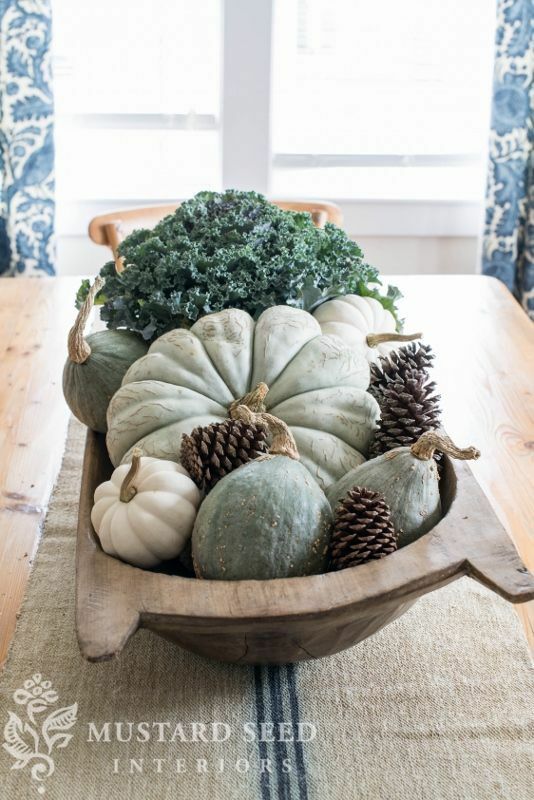 Liz Marie is back with some Fall Goodness…all you need is some greenery and some Heirloom Pumpkins and Voila!!! Come and see more at this incredible blog. Beth from the fabulous UnSkinny Boppy puts together a gorgeous Dough Bowl with some simple items and the end result is WOW!Come and visit for awhile…Inspiration awaits you! 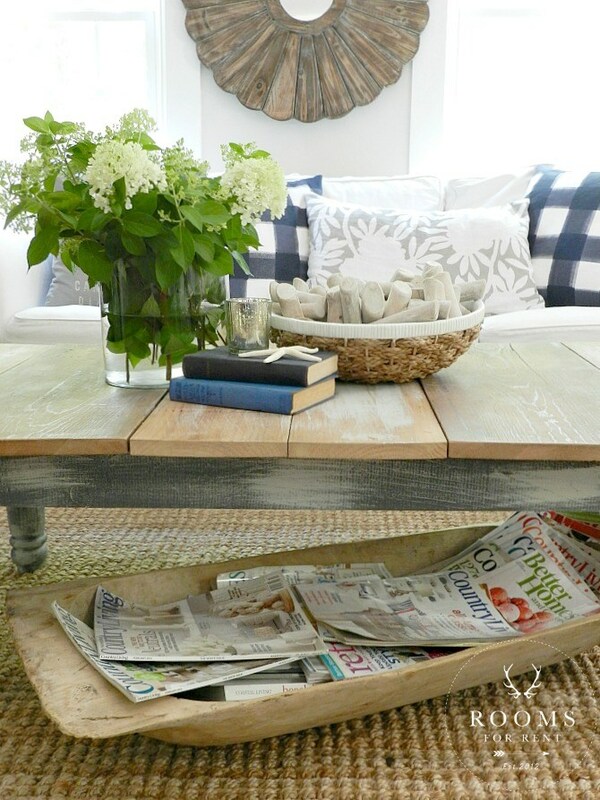 Are over at Rooms For Rent has a very practical use for her big beautiful Dough Bowl…make it a part of the decor by placing all of your favorite magazine in it! Brilliant idea! 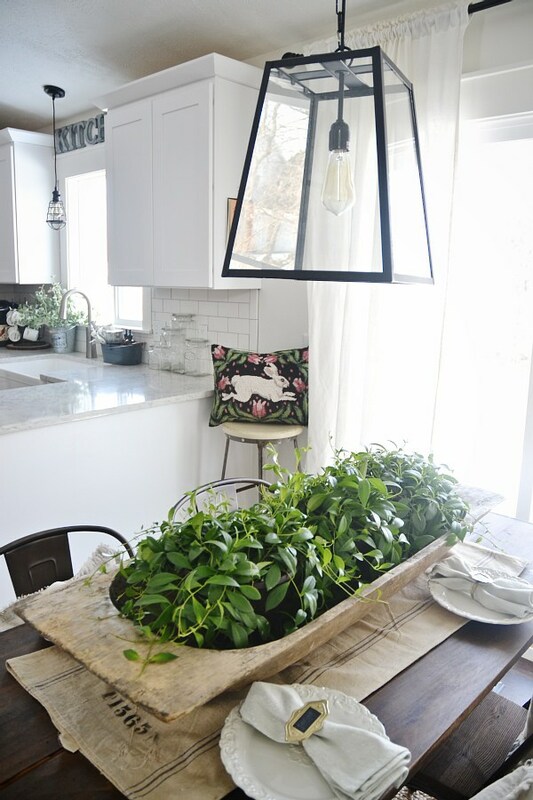 What a fabulous way to display a collection of Dough Bowls…this is so inspiring and how much do you love the planted Dough Bowl…adds the picture perfect amount of Farmhouse Home Decor Drama. Check this out over at Hammers & High Heels! The brilliant Liz Marie has a Winter Wonderland Beauty to share with us. It is totally amazing…drop by and take a close up view of this mini masterpiece. I just love the mixture of items she combined together to get the perfect look. So inspiring! 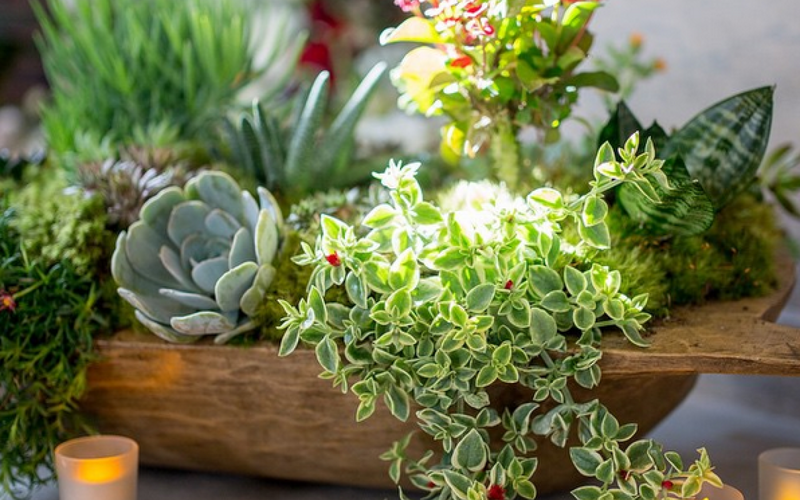 I am loving this gorgeous array of succulents and greenery over at Pottery Barn. 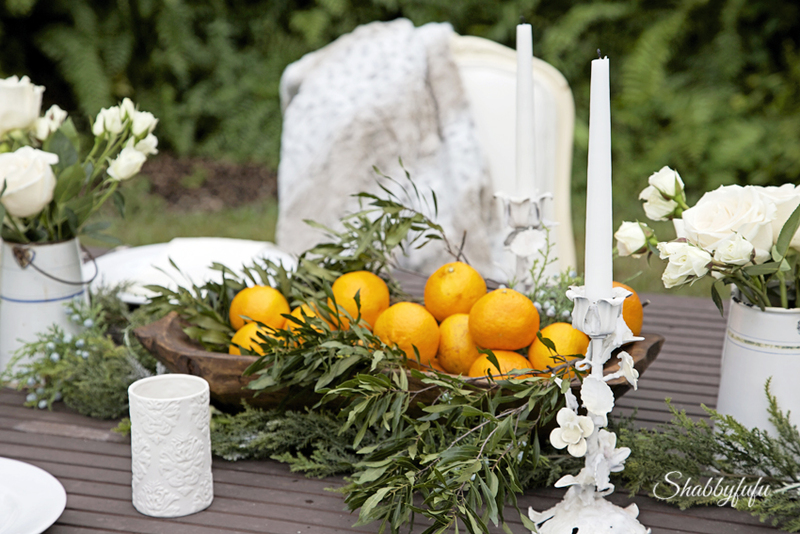 You can create your with real or how about faux succulent and greenery. With the high quality faux items out there now no one will ever know and your Dough Bowl will look spectacular! Use this one for inspiration. So wish I could see what you create! 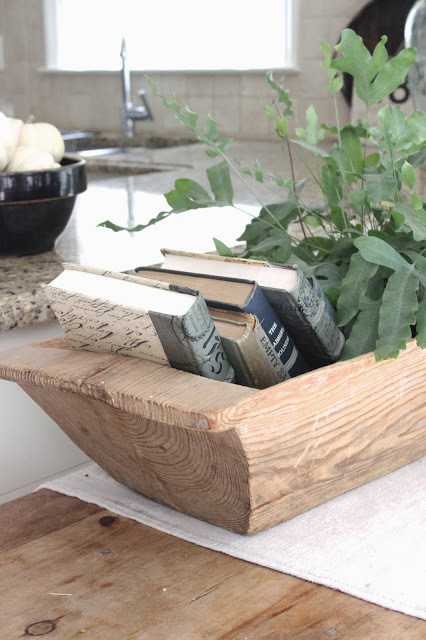 Design Indulgence sets the Dough Bowl Mood with a simple plant and some good books…the result…FABULOUS! 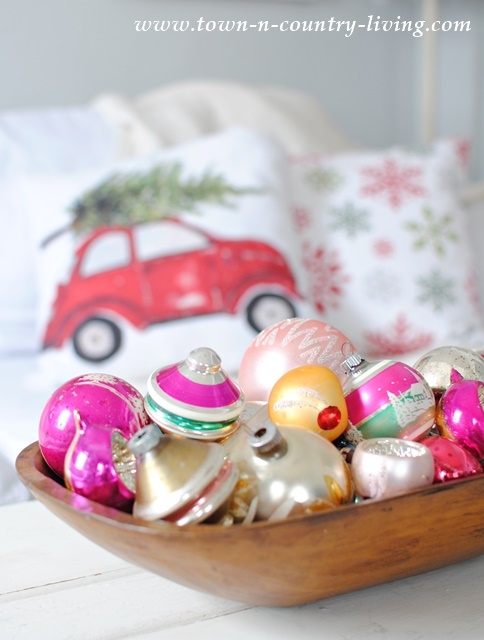 Jennifer over at Town and Country has the answer to a Christmas Dough Bowl…just add your favorite Christmas Ornaments and VIOLA…Seasonal Joy! She is sharing many other ideas…so drop by for a cup of coffee! 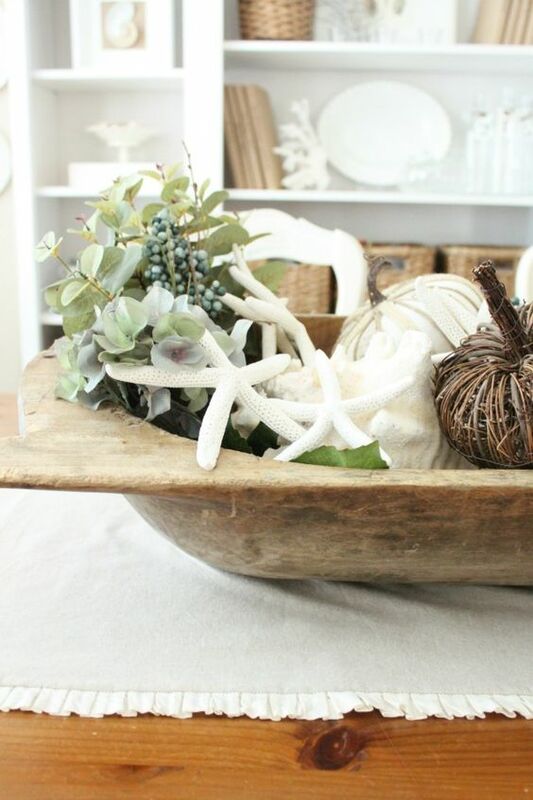 Tuvalu Home takes a Coastal approach to a Fall Dough Bowl and fills it with Raffia Pumpkins…Greener and Naturally Harvested Star Fish…it’s magnificent! Right you are! They are really beautiful! ..and they don’t cost much ‘dough’! SO MUCH INSPIRATION!!! Thanks, Andrea! I just love them! Just purchased my first one a week ago and another just yesterday! I definitely have dough bowl fever! I’m so thrilled I’ve posted my beauties on Pinterest. Hey there Mona! Sounds like you are really psyched over the new Dough Bowl and the right you should be!!! I hope you have tons and tons of fun and many many many arrangements in your future!!! 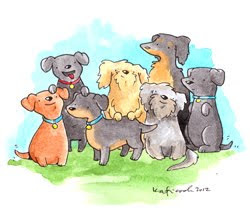 Sending hugs and wishes for a fabulous day!